Time for another of the amazing new LEGO® Technic sets, so we turn to Ryan Welles (merman) to give us the run-down on what makes 42053 Volvo EW160E so different. The set is released on 1 August. 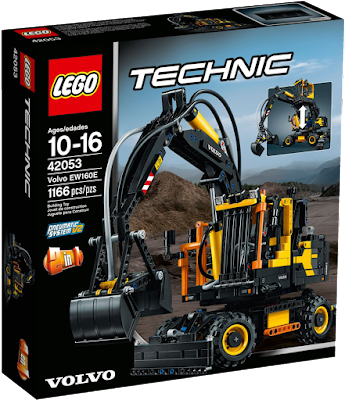 2016 already seems to be a record year when it comes to licensed Technic sets. Whereas one licensed set a year seemed to be the rule, in 2016 alone we have a staggering three sets involving some form of partnership. The smallest of these is 42053 Volvo EW160E, a wheeled excavator that the Swedish vehicle manufacturer introduced rather recently. 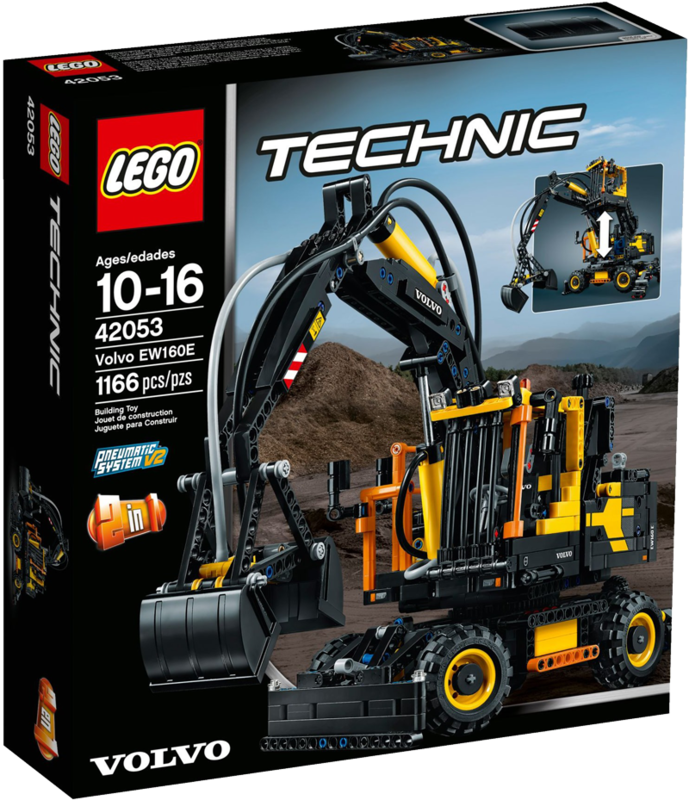 The set contains 1166 parts, relies heavily on the new V2 pneumatic system that came with last year’s 42043 Mercedes-Benz Arocs 3245 and retails for £69.99/US$119.99. Now, do we actually pay loads for the license or is this a pretty good deal... and is it an interesting build? Let’s find out. 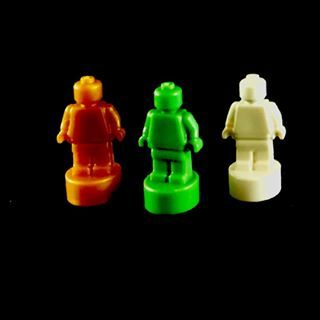 We have an unusual post today; we are covering some LEGO-branded merchandise. 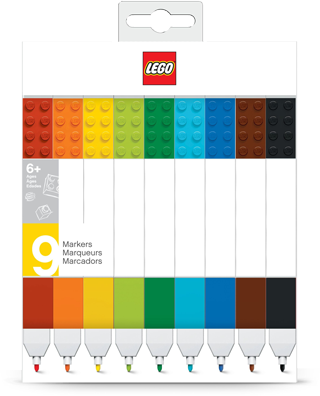 LEGO stationery has been released before, but has it ever been this pretty? More importantly, the range incorporates actual LEGO elements. We also have a new author: Dr. Richard Jones who hails from Melbourne, Australia. He runs his own LEGO blog, The Rambling Brick, where he rambles on about bricks. I was excited to be asked to look at these new stationery items. 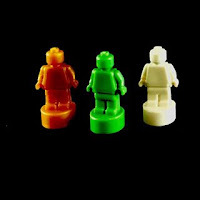 The new gear has a minimalist look: unmistakably LEGO, but not overly decorated. White is the predominant colour – is this now a sign of corporate luxury? First the iPod in 2002, and now LEGO stationery 14 years later: Coincidence? Probably. The colours are kept to a minimum on the whole, but where they are used, they add a touch of class to the line. It's been a long time since we looked at a LEGO® Elves set, which are always full of new parts and vibrant recolours. We begin to redress that today with a review by Andrew Barnick of a 2016 set, 41175 Fire Dragon’s Lava Cave. LEGO Elves may have even surpassed Bionicle as my favorite new theme of 2015, with a fantastic range of colorful and magical-looking sets and a heartwarming story and characters. So I’m happy to return this year with reviews of some new Elves sets. 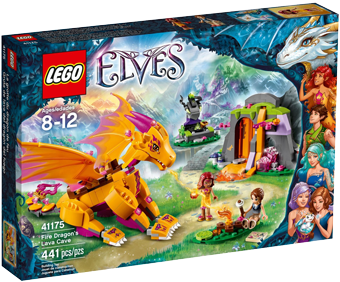 This year’s Elves sets focus on Emily Jones and the Elves’ quest to rescue the Dragon Queen from the evil Elf Witch Ragana, and feature both adorable baby dragons and fantastic brick-built adult dragons to accompany the Elves on their journey. And like last year’s sets, these sets include a plethora of new and rare elements in an array of bright colors that are far less common in other themes. So without further ado, let’s take a look at what 41175 Fire Dragon’s Lava Cave has to offer!